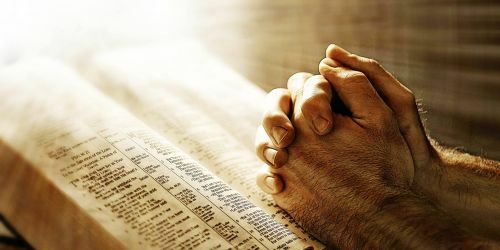 One of the most known texts of the Bible is the Lord's prayer. This portion of the Bible is an integral part of Western society. We can hear it in movies or from people who are not Christians. The importance is highlighted by two occurrences in the New Testament in Matthew 6:5-15 and Luke 11:2-4. Matthew's account is also reproduced in Didache 8:2 and gentle echoes can be detected in John 17. The actual text of the prayer is Matt 6:9-13. However, its context is also important to note. The broader context is the Sermon on the Mount. The nearer is Matt 6:5-8 and 6:14-15 (introduction and conclusion). We would like to think about this text within its nearer context. Verses Matt 6:5–8 are the introduction to the prayer. Jesus begins with instructing his disciples not to be like hypocrites (Matt 6:5-6) and Gentiles (Matt 6:7-8). Hypocrites are those who want to publicly demonstrate their piety which is wrong. Gentiles are trying to persuade God by their words to do something as if he does not care about people. Jesus is refuting these two preconceptions. There is a very powerful explanation that God is proactive in our needs (Matt 6:8). The body of the prayer (6:9-13) can be divided into two parts. The first part (Matt 6:9–10) is concerned with the eschatological hope that God's kingdom will manifest itself in fullness. The second part (Matt 6:11–13) is concerned with our daily needs here and now (food, relations, safety). The conclusion of the prayer (Matt 6:14-15) is interesting. Jesus seeks some pastoral concerns here. There is a conditional statement. If we forgive, God will bless us. This is very important because we are sometimes blinded by the love towards God while not seeing our neighbors (1 John 4:20). This might also be reminiscent of the Greatest Commandment (Matt 22:36–40). We can, of course, contemplate about the prayer within this context or we can just read it in its own right. This was very brief thought about Lord's prayer. However, we would like to encourage you to study it yourself because it is worth the effort. 6:5Καὶ ὅταν προσεύχησθε, οὐκ ἔσεσθε ὡς οἱ ὑποκριταί· ὅτι φιλοῦσιν ἐν ταῖς συναγωγαῖς καὶ ἐν ταῖς γωνίαις τῶν πλατειῶν ἑστῶτες προσεύχεσθαι, ὅπως φανῶσιν τοῖς ἀνθρώποις· ἀμὴν λέγω ὑμῖν, ἀπέχουσιν τὸν μισθὸν αὐτῶν.6σὺ δὲ ὅταν προσεύχῃ, εἴσελθε εἰς τὸ ταμεῖόν σου καὶ κλείσας τὴν θύραν σου πρόσευξαι τῷ Πατρί σου τῷ ἐν τῷ κρυπτῷ· καὶ ὁ Πατήρ σου ὁ βλέπων ἐν τῷ κρυπτῷ ἀποδώσει σοι.7Προσευχόμενοι δὲ μὴ βατταλογήσητε ὥσπερ οἱ ἐθνικοί· δοκοῦσιν γὰρ ὅτι ἐν τῇ πολυλογίᾳ αὐτῶν εἰσακουσθήσονται.8μὴ οὖν ὁμοιωθῆτε αὐτοῖς· οἶδεν γὰρ ὁ Πατὴρ ὑμῶν ὧν χρείαν ἔχετε πρὸ τοῦ ὑμᾶς αἰτῆσαι αὐτόν.9οὕτως οὖν προσεύχεσθε ὑμεῖς Πάτερ ἡμῶν ὁ ἐν τοῖς οὐρανοῖς· Ἁγιασθήτω τὸ ὄνομά σου·10ἐλθάτω ἡ βασιλεία σου· γενηθήτω τὸ θέλημά σου, ὡς ἐν οὐρανῷ καὶ ἐπὶ γῆς·11Τὸν ἄρτον ἡμῶν τὸν ἐπιούσιον δὸς ἡμῖν σήμερον·12καὶ ἄφες ἡμῖν τὰ ὀφειλήματα ἡμῶν, ὡς καὶ ἡμεῖς ἀφήκαμεν τοῖς ὀφειλέταις ἡμῶν·13καὶ μὴ εἰσενέγκῃς ἡμᾶς εἰς πειρασμόν, ἀλλὰ ῥῦσαι ἡμᾶς ἀπὸ τοῦ πονηροῦ.14Ἐὰν γὰρ ἀφῆτε τοῖς ἀνθρώποις τὰ παραπτώματα αὐτῶν, ἀφήσει καὶ ὑμῖν ὁ Πατὴρ ὑμῶν ὁ οὐράνιος·15ἐὰν δὲ μὴ ἀφῆτε τοῖς ἀνθρώποις, οὐδὲ ὁ Πατὴρ ὑμῶν ἀφήσει τὰ παραπτώματα ὑμῶν.